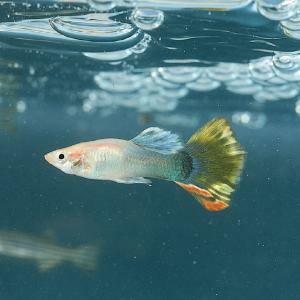 Selectively bred for color, these guppies have large, flowing fins. Poecilia reticulata. Set of three.